The lightweight, disposable N95 particulate respirator is designed to help provide quality, reliable worker respiratory protection for certain non-oil based particles. 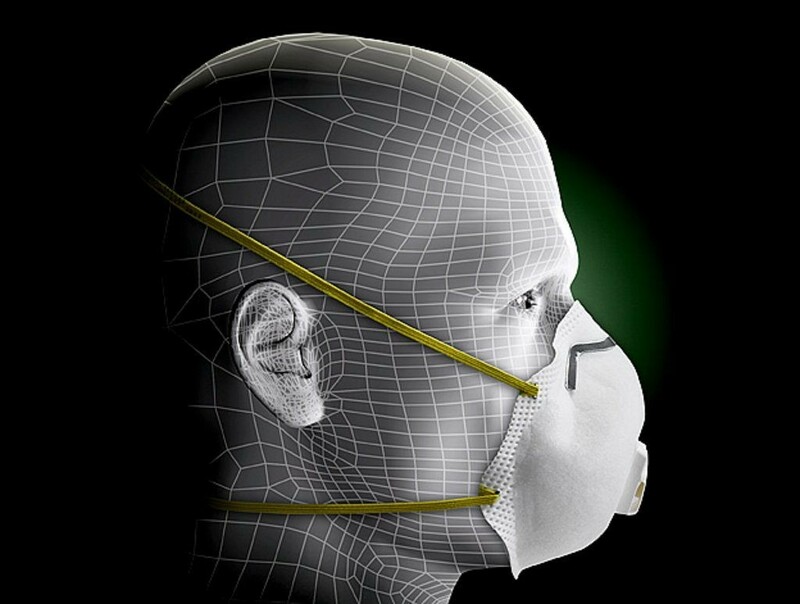 3M uses a variety of innovative technologies and features to help you meet your respiratory protection and comfort needs. The respirator incorporates 3M's proprietary technology with advanced electrostatically charged microfiber filter media, designed for ease of breathing. The proprietary 3M™ Cool Flow™ Exhalation Valve reduces heat build-up inside the respirator to help keep the wearer more comfortable. The soft inner material provides added comfort while the cup shape design makes the respirator spacious and durable. These features, along with the braided headbands and adjustable M-noseclip, are designed to enhance user comfort and help increase wearability. (bul) N95 Approved (bul) 3M™ Cool Flow™ Exhalation Valve (bul) Soft inner materials (bul) Compatible with a variety of protective eyewear and hearing protection (bul) Adjustable M-noseclip reduces potential for eyewear fogging and helps ensure a secure seal and fit. (bul) Braided headbands two-strap design with dual point attachment helps provide a secure fit. (bul) Suggested applications: Grinding, Sanding, Sweeping, Bagging and other dusty or arid operations. Ideally suited for work settings that involve heat, humidity, or long periods of wear. (bul) Can also be used to help reduce inhalation of certain airborne biological particles like mold, Bacillus anthracis, Mycobacterium tuberculosis, etc. Example applications include emergency or pandemic preparedness planning, stockpiling, etc. WARNING: These respirators help reduce exposures to certain airborne contaminants. Before use, the wearer must read and understand the User Instructions provided as a part of the product packaging. In the U.S., a written respiratory protection program must be implemented meeting all the requirements of OSHA 1910.134 including training, fit testing and medical evaluation. In Canada, CSA standards Z94.4 requirements must be met and/or requirements of the applicable jurisdiction, as appropriate. Misuse may result in sickness or death. For proper use, see package instructions, supervisor, or call 3M OH&ESD Technical Service in USA at 1-800-243-4630 and in Canada at 1-800-267-4414.